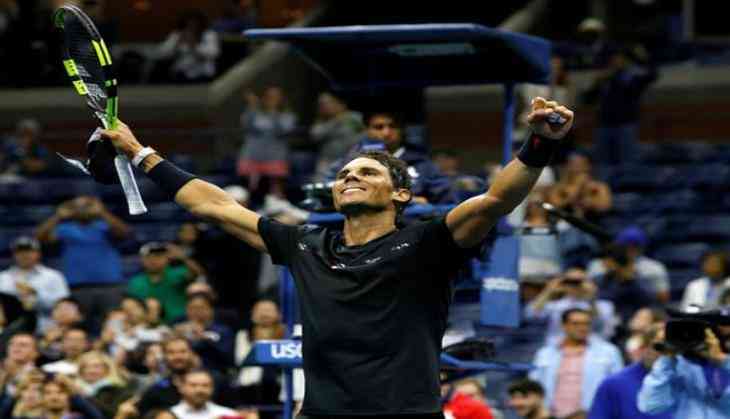 World number one Rafael Nadal produced a strong fight back to survive a stern test from New York's Taro Daniel and move into the third round of the US Open here on 1 September. The Spanish maestro bounced back from a set and break down to outplay Daniel 4-6, 6-3, 6-2, 6-2 in an exhilarating second-round clash under the lights on the Arthur Ashe Stadium. Nadal smashed 20 winners and made 24 unforced errors in the first two sets, but he turned around the match to finish with 20 winners to just 11 unforced errors in the third and fourth. With his 51st match win of the season, the two-time US Open winner has booked his spot in the third round for a third straight year. Nadal will now take on lucky loser Leonardo Mayer of Argentina on Saturday.